Pet people are the best – extra kudos to DOG people. 🙂 Danny and Maria have an adorable Alaskan Klee Kai named Arya and when Danny met Sledder, my Siberian Husky, (essentially just a larger version of Arya) it all clicked together! 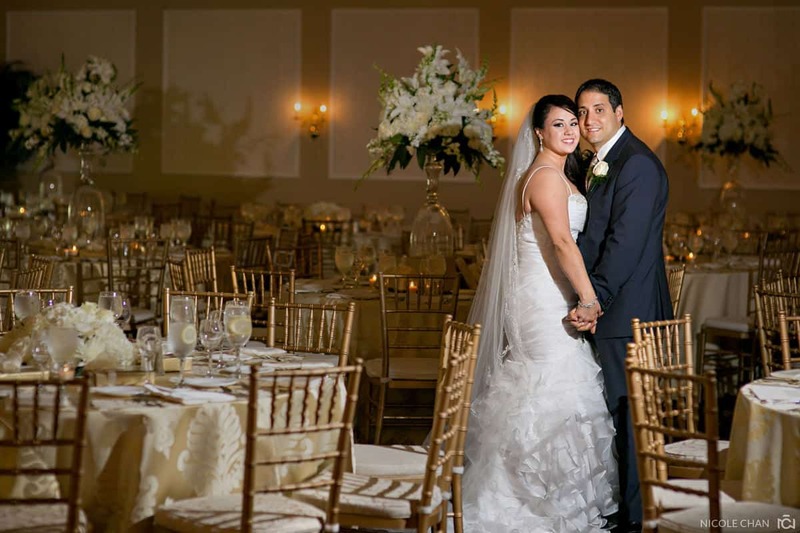 Danny and Maria’s Black Swan Country Club wedding was full of energy, love and really big cheek-squishing hugs. I love Greek weddings for this reason – the intense emphasis on family and culture. This wedding was no ordinary Greek wedding though, there were so many elements that I’ll never forget – like having standing room only at the ceremony because Danny and Maria were loved by THAT many people, and heart-shaped Boston creme donuts+munchkins and Dunkin Donuts’ iced coffee during the reception, AND an overwhelming performance by Efi Thodi – a famous Greek pop singer that Danny and Maria flew in from Greece. The surprised look on their guests’ faces was priceless. Special thanks to Bob (Roberto Farren) for being an amazing 2nd photographer and to Jason Loeb for taking one of my favorite images of Maria and Danny’s first dance in good ol’ medium-format film.